The U.S. currency, which has strongly appreciated over the past two years, surged to a 14-year high in the wake of Donald Trump’s election and the Federal Reserve’s decision to raise interest rates, adding a wrinkle to the president-elect’s pledge to boost factory employment. Certainly, a strengthening dollar is a sign of rising optimism for the U.S. economy as the stock market also soars to new highs. Prospects of higher inflation and rising interest rates encourage investment in U.S. assets, reflecting growing hopes for better returns. A strengthening dollar increases the currency’s purchasing power: If imports are cheaper, U.S. consumers would have more money to spend. That in turn could boost retail sales, a key driver of economic growth, and engender more confidence in the U.S. overall. 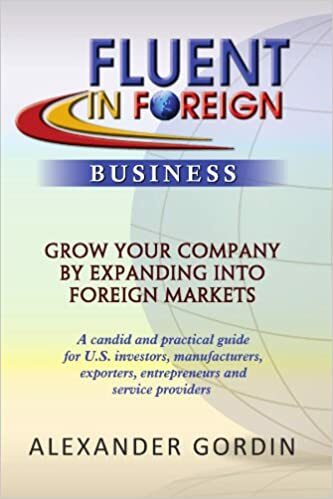 However, while good for U.S. consumers and companies that purchase components abroad, the dollar’s rise promises to hit U.S. manufacturers reliant on sales in overseas markets. Many have started to dial back revenue forecasts and look for ways to cut costs. 3M Co. and United Technologies Corp. have signaled a strong dollar could make it harder to boost sales in 2017. Kaman Corp., a Bloomfield, Conn.-based maker of airplane parts, has seen its European rivals’ prices drop as the euro declined against the dollar. To compete, Kaman has invested in facilities in Germany, and acquired a company with operations in the Czech Republic. “Manufacturing here in the U.S. has become a lot more challenging than we’d anticipated,” said Neal Keating, Kaman’s chief executive. Some dealers of Harley-Davidson Inc. motorcycles and Caterpillar Inc.’s bulldozers and excavators are bracing for the companies’ Japanese rivals to capitalize on the yen’s weakness against the dollar to undercut them on price. Caterpillar has said the yen’s weakness makes competition harder. Harley declined to comment. In interviews, several business leaders said Mr. Trump’s pledges to promote business would more than counter the sting of a stronger dollar, especially if there are lower taxes and lighter regulatory burdens. They are hopeful Mr. Trump’s plan to overhaul infrastructure will spark economic growth, and that higher domestic sales could make up for any decline in exports. Jerry Johnson, president of the farm, ranch and agriculture division of Blount International Inc., a Portland, Ore., maker of outdoor products, said the strong dollar may be offset by declining import prices. About 50% of the components used in Blount’s products—they include mowers, log splitters and rotary cutters—come from overseas, Mr. Johnson said. The dollar has been relatively weak against most of the world’s major currencies over the past decade. This helped U.S. exports rebound swiftly following the financial crisis. By the end of 2010, exports reached record levels and continued to grow, hitting $598 billion per quarter in 2014. Employment in manufacturing began to recover, and optimism grew the U.S. could be entering a manufacturing renaissance. The dollar has since risen sharply against currencies such as the yen and the euro. Meanwhile, the British pound dropped in the wake of the country’s June vote to leave the European Union. Earlier this month, the U.S. Federal Reserve raised rates, and hinted at more tightening next year. The WSJ Dollar Index, which measures the U.S. currency against 16 others, hit a 14-year-high last week. Bond yields have been rising amid expectations of more growth and inflation during Mr. Trump’s administration. The dollar rally could undermine his agenda by making exports more expensive and imports cheaper. Trump transition team officials didn’t respond to a request for comment. For some companies, a stronger dollar will likely limit interest in expanding domestic manufacturing. China’s yuan has fallen to its lowest level against the dollar in eight years, a move that could entice manufacturers to keep factories there rather than following in the steps of those that have brought some operations back to the U.S.
Mexico’s peso is down 13% against the dollar since the election, making it more tempting to move U.S. factories south of the border, despite Mr. Trump’s vows to punish firms that shift jobs abroad. Emerson Electric Co. last week said the stronger currency worsened the extent of its orders’ decline from September through November by 2 percentage points. Overall, they fell by 7%. 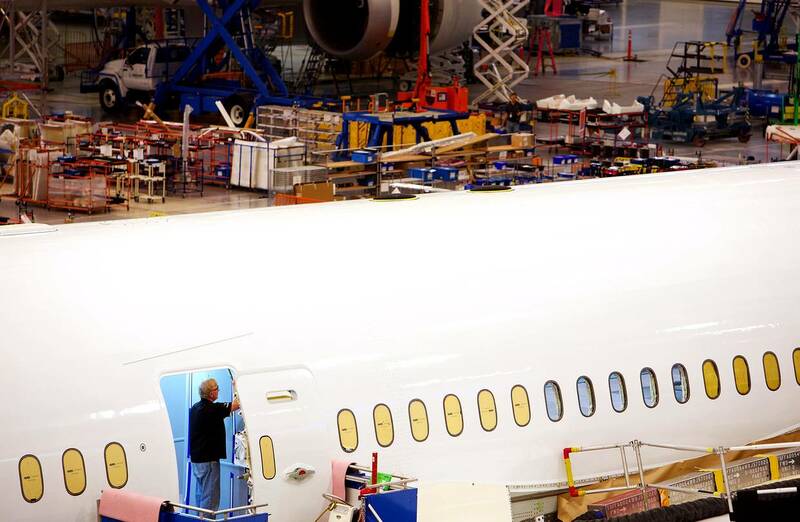 Boeing Co., the nation’s largest exporter, last week cited “fewer sales opportunities and tough competition” when it laid out plans for further layoffs at its commercial-airplane unit next year after cutting staff by 8% in 2016. Boeing didn’t mention currency fluctuations. The strengthening dollar has helped rival Airbus Group SE, which for years wrestled with an appreciating euro. Boeing declined to comment. An Airbus spokesman said the tailwind the company gets from the dollar is muted because 40% of its plane parts are purchased from the U.S. Many manufacturers have begun to reduce their workforces; employment in manufacturing fell by 51,000 from January 2015 through November 2016, according to Labor Department data. Ben Herzon, senior economist at Macroeconomic Advisers, an independent economic forecasting firm, conducted a simulation for The Wall Street Journal to illustrate how a further 10% increase in the strength of the dollar would ripple through the U.S. economy. Over the next three years, companies would gradually adjust, by among other things boosting capacity at foreign plants while reducing at home, changing their supply chain or increasing the use of automation. If the dollar doesn’t strengthen further, inflation-adjusted gross domestic product would cumulatively rise by 6.3% over the next three years. If it strengthens by a further 10%, that growth would be 1.8 percentage points lower, or 4.5%, according to Macroeconomic Advisers’ simulation. The pain of a further 10% dollar rise would be especially concentrated in U.S. factories. Manufacturing production would be 3.6 percentage points lower under a strong dollar, inflation-adjusted imports would be 3.6 percentage points higher, and real exports from the U.S. to the rest of the world would be 6.2 percentage points lower. Initially, U.S. consumers would stand to benefit by paying lower prices for imported goods. “It’s good for consumers, as long as they’re still working,” said Mr. Herzon. As time goes on, this benefit will also be offset by the job loss in the manufacturing sector, he said.